Here we all are beginning another year according to the Gregorian Calendar commonly used and accepted worldwide. The glossy magazines are full of ‘New Years Predictions’. Newspapers tout the latest psychic’s decree. Do any of you actually take seriously what you read? Do you clip and save these predictions to check out a year from now how many will actually come to pass?Is this all that Astrology is good for? It would seem that the Mass Media clings to that perception and columns are written daily in every syndicated publication across the nation, not just yearly, but day by day. I’m not sure who reads these or why. I don’t. If I look at my Sun Sign column for the day, week, month, or year does that mean that those predictions will apply to me and the millions and millions of other people sharing that same Sun sign? It seems preposterous! Are there only twelve varieties of homo sapiens then? Hmmm … I think not. So, what on Earth is Astrology good for? I’ve been pondering that for many years and still haven’t gotten to the bottom of it, but I will share in this opening blog what I have discovered in my own personal search. Astrology is both a language and a tool. It is the most Universal language I know of because it dates back, at a minimum, to over 5,000 years of perpetual use. Just check out your ancient sites like Stonehenge, the Mayan ruins, the esoteric teachings of countless Middle Eastern traditions, the Dogon of Africa, the Moon-school traditions of the Tibetan, Vedic, and Judaic. You’ll find them all using some form of this universal language. It is simple, clear, and elegant. Each celestial body moving through the sky, as seen from planet Earth, has come to have a symbolic meaning, and thus the endless combinations and rhythms of these bodies have come to create a certain type of language that can be interpreted by those who wish to unravel the codes. This code links us to the celestial, the vast orbs in space, which comprise our own dear little solar system, and the fixed stars of our galaxy beyond, and on and on as far as we can go with our instruments of perception. Astrology is a language that speaks to our relationship to the whole while dwelling here on planet Earth. Remember, we are also swirling around in space! It is a tool for Self-Understanding. It is a key to unlocking the mystery of why I am here, what my purpose is, what my gifts are, where my strengths lie, where I harbor weaknesses which need improvement, and where I’m going to have challenges to overcome. This is Natal Astrology and the study of the Birth Horoscope. I have learned that, like snowflakes, there are endless combinations of astro-symbols. When you combine 10-14 symbols (planetary or asteroid bodies) around a 360 degree wheel you begin to see the infinite possibilities of energies combined into one entity. Each of us is unique. 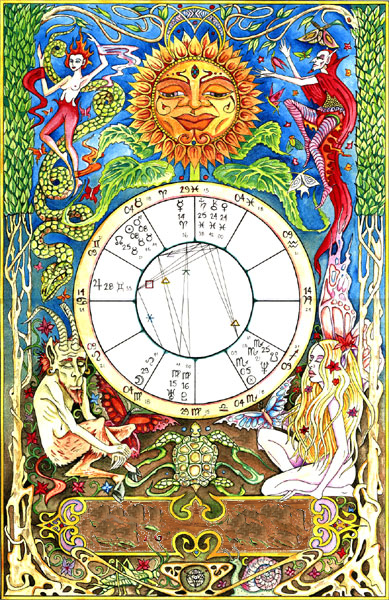 Astrology shows, just how and to what degree, in an astounding way. After all, the birth horoscope is an image of both time and space as viewed from planet earth. It truly is a type of ‘cosmic code/star DNA’. The great Hermes/Thoth said it rightly, “As Above, So Below”. With Self-Understanding comes Self-Realization and a greater sense of meaning in terms of just where I fit within the collective and universal whole. Nice! Astrology is a marvelous tool for Understanding Others. Through this lens I can see how I fit, or don’t fit with another. Do we blend and harmonize, or clash in conflict? Again, it is really simple and elegant as a tool for working on relationships. You can apply it to anyone or anything that has a birth, and that includes businesses, corporations, cities, states, countries. Yes, you can apply it to your pets. Anything that has a beginning has a birth map. By the way, the word for this aspect of astrology is Synastry. The Greek prefix syn means mutually bringing together, while astron means a star. This gives new meaning to the term ‘star-crossed lovers’, doesn’t it? OK, I think I’ve written enough for one day. I’m going to continue this theme because I have found so many uses for this tool, astrology, that I’m enthusiastic about.. My next section will be on how it helps me navigate through time and/or space. Zowie. It really does work as a fantastic navigational tool. Now, I want to hear from YOU. I am sharing my perspective, and I know you have yours. The more we all share together, the more we learn and grow. So I welcome lots of comments, ideas, exchanges, and, yes, even criticisms as long as they are constructive. Let us all be respectful of each other in our quest for greater enlightenment. Wow Genevieve…what a great model…I have been looking to figure out how to do the blogspot thing and get the right format….where did you build this blog from? Thanks for your affirmations of this marvelous tool, Sariah. Well said. I’m glad you like this blog. It was developed by my most excellent son, Michael. ;). I’ll check in with him to see what advice he gives people like you for starting your own blog. Congratulations on your fabulous blog! I will look forward to reading it on a regular basis. I’m passing your link on to friends and family. hooray! CONGRATULATIONS!! I’m looking forward to reading your blog! I’m back in the Bay Area and looking forward to seeing you in person soon! What an elegant design and fascinating content. Astrology gives me a different perspective on life at any given time. It is hard for me to take things so personally when I understand the bigger picture. It helps me reframe and acknowledge my trials and tribulations. Celebrations of life are all the merrier when we know we have the the stars smiling down on us too. Thank you for your excellent contribution, Marcia. Astrology truly can be an affirmation of life here on planet Earth. We are, after all, on this planet together whirling around in space together, but we each have our own unique view and experience of just what that means. That’s some of the uniqueness that I want to talk about on this blog. How nice it is to hear from you. 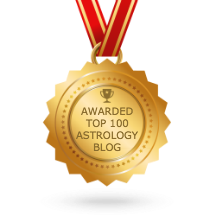 You certainly have created a masterpiece of a website blog (still not sure what that is) and I will take it personnally as the way you have answered me in my search for a greater knowlege of astrology. It has always fascinated me as I take it to my heart your words that it speaks to some of us as a language of understanding. You are making me get out my charts and books in order to figure out some of what you are saying but this I take as an exercise in study a sort of rejuventation of my process and how it connects with the stars. Thanks for that inspiration once again. It is amazing and with inklings of understanding seems so simple that the cosmos the natural universe is but a map that mirrors my own individual universe. That what you display thru your knowledge and point out to those of us that do not know, is so akin to what I find out about my own process irregardless of what that process is. I hope this finds you well. It has been a long time since we last talked. Glad to see you son Michael working with new website of yours. I assume things are calmer now. Excellent website and blog! How fun too. I can remember when we shared an office and when Mercury was Retrograde I always had mix-ups in times with my clients. I would come to your office and ask you if Mercury was in Retrograde! You would almost always say yes. I also notice that during this period I usually hear from past clients. And sure enough, already 3 have called for appointments! And yes, my fax machine is acting up! Yes, Mercury Retrograde is a good time to ‘come back’ as your past clients are doing. And—-guess what?—-you’re commenting on Mercury Retrogade under a different article/ha. I love it. It can be a crazy mixed-up energy all right. Seriously though, I would think your work in psychotherapy would just deepen during this time period. Any type of healing work is good during a Retrograde phase I feel.